As I admitted to in my first post about the leisure airline Condor, I didn’t know a lot about them before my first experience flying with them to Germany. I knew they existed, that they were German but that’s about it. I certainly didn’t realize that they had premium options including Premium Economy and Business Class cabins and I certainly didn’t know how nice those products were to experience firsthand. Working with both Condor and Germany Tourism as I traveled to Germany to drive the Fairy Tale Route, I had the opportunity to fly Condor Business Class both to and from Germany, and while the experience was at times quirky, there’s no doubt that it’s a fantastic luxury travel option for anyone traveling to Europe or beyond. I think we need to start with their history since many folks may not be familiar with this leisure airline. First of all, what is a leisure airline you ask? Well, it just as it sounds, it’s a tourism airline that exists to fly folks off to vacation destinations around the world. Although the airline originally started as an independent company, and then later acquired by Lufthansa, today it is actually part of the global travel company Thomas Cook. That means that Condor offers flights to destinations around the world, and for my fellow North Americans this means a fantastic alternative to not only reach Europe, but also connect to many other destinations around the planet. While Condor may be a new name to many Americans, it shouldn’t be. During the summer months, Condor links more than a dozen U.S. cities to Germany with connections onward to destinations around the world. In total, Condor currently serves 75 destinations with expansion plans already slated for 2017, including new American service to New Orleans and San Diego. It’s important to note though that for most of the American cities, Condor is a seasonal airline. That means it typically just flies in the summer vacation months and then only a few times a week. While it may not be an ideal choice for the business traveler making last minute decisions, these are in fact great schedules for those of us traveling to Europe on vacation. Living in the DC metro region, I love that there’s an easy way to get to Europe from BWI instead of having to trek to the always time-consuming Dulles International Airport. It means less time wasted at the airport and more time actually enjoying my trip. This is the one area where I’m going to ding Condor, but ultimately it’s not really their fault. Condor is a small airline and a seasonal one. That means at airports, it doesn’t command the sort of presence that a very large national carrier can command. At my home airport of BWI, this means a terminal that is less than ideal with few amenities. This isn’t Condor’s fault, but it is a part of the flying experience. I was also surprised to learn that Business Class travelers with Condor at BWI don’t have lounge access, even though one is present. Given the very limited resources at the BWI international terminal, lounge access wouldn’t have just been nice, it would’ve made the time spent waiting much more enjoyable. Luckily at Frankfurt, Business Class guests do have lounge access with a choice between two lounges, one before and one after immigration control. Other than that, the check-in process at both BWI and Frankfurt for Business Class guests was efficient and quick thanks to dedicated agents for premium travelers. It’s great finding at least one line in an airport where I don’t have to spend a lot of time waiting and is just one of the many benefits afforded to Condor Business Class guests. While lounge access is nice, ultimately a great Business Class flying experience is all about the space we occupy for hours as we dart around the planet. Walking onboard the Boeing 767, I was thrilled to see a Business Class cabin that looked bright and recently refreshed. The reason for that first impression is because all of the Condor Business Class cabins were indeed recently refurbished with the fleet-wide retrofits completed in 2014. The seats are modern capsules that allow for a high level of relaxation and privacy no matter where in the cabin your seat is located. The seats have a variety of reclining options, including a tilt angle of 170 degrees and a long lying surface. I’m 6’2” and believe it or not, even I can have issues getting comfortable in some Business Class cabins. Thanks to this new and improved seat though I was comfortable throughout both flights, even able to snag several hours of sleep along the way. In addition to the reclining options, each seat has a personal 15.6” inch TV screen with plenty of movie and TV options. The seats also have power and USB connections, so my phone arrived fully charged instead of nearly depleted. Additional perks included large headphones and amenity bags that included many of the normal items one usually gets in Business Class bags. This is where the Condor Business Class service really blew me away and honestly, I wasn’t expecting it. Again, I had certain preconceptions about Condor and again, my initial ideas about what their Business Class would be like were almost entirely wrong. This was perhaps the most evident during the comprehensive meals served onboard. I was welcomed onboard with a choice of drink and almost immediately was presented with a menu for the in-flight dining service. I think I expected Condor to not be as competitive as their larger rivals, but I was wrong. 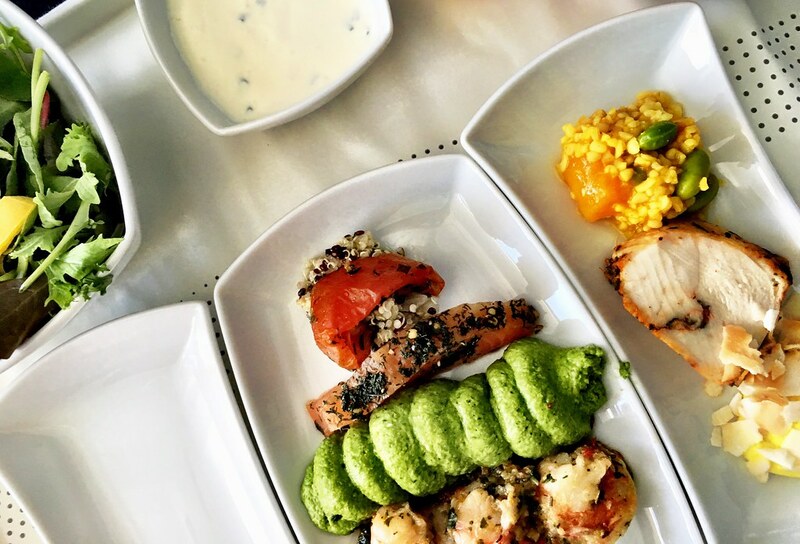 Their Business Class meal service was just as good and many times better than what I’ve experienced with more well known airlines. The main meal service features 5-courses with plenty of options along the way and is presented with care and finesse. While it’s not that important to me, they also feature robust wine options with several choices from wineries around the world. This was not the Condor I expected, but I loved every minute of being wrong. The service onboard was also exceptional, far exceeding what I’ve encountered on some other airlines. Every member of the crew was warm and friendly and went above and beyond to help fix any issues along the way. A quick example, I had an issue with my in-seat power plug and several members of the crew took the time to come over, investigate, offer solutions and eventually fix the problem. I’ve flown Business Class on some airlines where a scowl and complaints have been the norm, so this level of kindness wasn’t just appreciated, it transformed the journey. When it comes to commercial aviation, having more options is always better than having fewer options. The more options present in a market, the better the fares will be. That’s basic Econ 101 stuff. That’s why I’m happy to see the expansion of Condor Airlines in the North American market, because it gives us options. I tend to travel to Germany at least a couple of times a year, and am very well familiar with the traditional ways to get there. And you know what? They’re fine, they really are and overall I’ve enjoyed my flying experiences. But that doesn’t mean that I don’t like having a choice when I travel, the power to select an airline that might be a little closer to home, have schedules and services I like and an airline that’s just different. 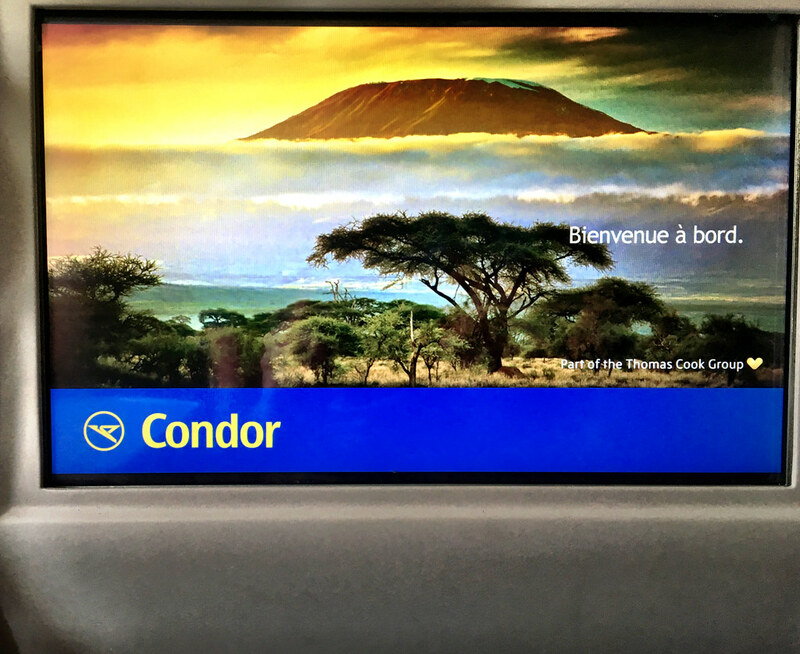 Add to that the quality and convenience of the Condor Business Class, and this is an airline that I not only recommend, but that I hope to fly again soon. Their Business Class experience is just as good if not better than the many national carriers flying to Europe every day, competitive at every level of service including the most important one. Attitude is everything when we fly, both of the passengers as well as the crew. On both legs of my trip through many hours of flight time, I was only ever met with kind smiles and a fierce determination to make sure I enjoyed the experience at every stage. That’s important and ultimately that attitude trumps any other amenity or luxury and is at the heart of what premium travel should be all about. It’s so refreshing to see a positive review. I’m about to go with Condor from Seattle to Frankfurt, then on to Milan, on Monday, and I’m super excited since I’ll be flying in business class with my Assistance Dog. He’s an Australian Shepherd mix and being somewhat disabled I couldn’t go anywhere without him. They’ve been very accommodating so far at Condor. I’ll see pretty soon, of course, if they are so also on board. Thanks again! I will be flying Condor business class in May from Frankfurt up Portland, OR. I was wondering how your experience was. So how was your flight? Was it in Business Class? I will be flying with Condor from Las Vegas to Frankfurt in September. I can’t wait until the day arrives. I wish yet, they would fly from Portland Oregon to Frankfurt. So how was your flight? Was it in Business Class? I think they fly from Portland now.